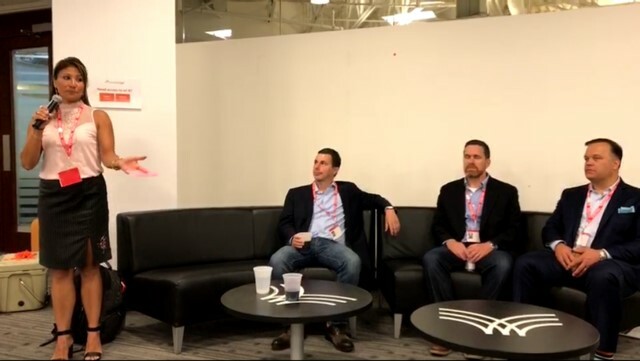 July 20th Scott MacGregor, Chris Kelly and Chris Grasso were featured on the panel at the Boston Enterprise Sales Forum on”Building Real Relationships.” Click here to watch the recorded Livestream. Scott is one of those rare people who adds value to everything he touches. If you have an opportunity to work with him, do. Not only would I put Scott in the top 5% of sales leaders that I have ever met, I’ve also been impressed with the way he has embraced new platforms like LinkedIn to build his brand and recruit. Scott and his team are really changing the game when it comes to recruitment. I’m excited to see SomethingNew’s growth and expansion – which is sure to be swift! SomethingNew is changing the way recruiting feels and their data driven Candidate Review System is bringing clarity to the talent search.